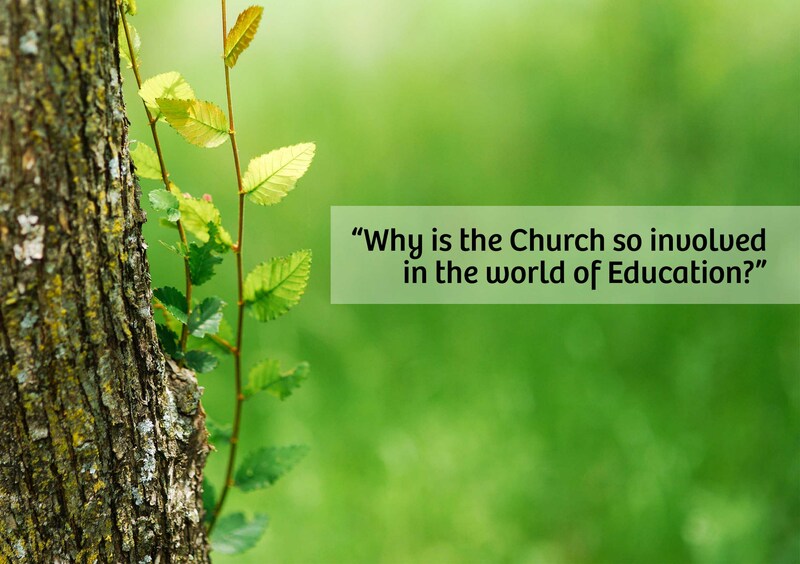 As Area Bishop and Chair of the Board of Education of the Church of England Diocese of Leeds, I am quite frequently asked this question, or something very similar to it. I find the form in which the question is asked to be very revealing, as it tells me a good deal about the assumptions of the person who is asking. The primary task of the Diocese of Leeds, as I understand it, is to enable the work of the Church of England in the Diocese to flourish and grow. Our Diocesan Vision has three elements – Confident Christians, Growing Churches, Transforming Communities and the work of the Diocesan Board of Education contributes to the fulfilment of each of these goals – and has the potential to help the Diocese to do so even more fruitfully. One of our biggest challenges faced by many of our churches is that the vast majority of our congregations are for the most part small and elderly, with very few children, young people and families attending regularly. But our 242 church schools currently educate around 64,000 children and young people – vastly more than we see in our churches week by week. Within each of these schools, high-quality religious education is offered, at the heart of which is clear teaching about the Christian faith, including through the newly launched and much praised ‘Understanding Christianity’ project, as well as about other faiths. This is not about proselytising, but it does prepare the ground for these children to be able to make informed choices about faith, as and when they are ready to do so, thereby contributing both directly and indirectly to the Diocese’s goal of nurturing Confident Christians. Where parishes and clergy are making the most of the links they have with both church and community schools, there are huge opportunities to lead collective worship, set up visits to churches and to play a part in engaging with the whole school community – including children, parents and staff. We would like to see these links strengthened and developed. There is ample evidence that, where this happens, links with schools can become (even more than they are already) a major means of contributing to Growing Churches, especially among the children, young people and families who are so often missing from our congregations. But evangelism and church growth are not our primary goals when it comes to our work in Education. The Church of England’s engagement with education is rooted above all in our commitment to the well-being of all human beings and to the flourishing of the communities in which we live. In a time of increasing polarisation in politics and of rising negativity towards people of different races and faiths, church schools can help to foster positive attitudes of respect towards people of different traditions and communities. In many parts of this Diocese, people of other faiths choose to send their children to our church schools, precisely because they feel their faith and traditions will be respected and valued. In this way, among many others, church schools can contribute to community cohesion and mutual understanding. Church schools, whether in rural North Yorkshire or inner-city Leeds, make a huge contribution both to individual lives and to their wider communities. They are perhaps the biggest single demonstration of the Church’s commitment to Transforming Communities across our Diocese and nation – and of our refusal to retreat into being solely a religious club concerned with our own survival. Above all, therefore, the work of the Diocesan Board of Education should not be seen as an inconvenient drain on the resources of the Diocese, but as a key part of strengthening our ability to fulfil our core goals – Confident Christians, Growing Churches, Transforming Communities. Those of us involved in the field of education in this or any other Diocese, whether teachers, parents or clergy, need to go on making the case for the importance of supporting this work as a vital part of the overall mission of the Diocese. And we need to do all we can to help local clergy and churches to play their part in supporting the life of our schools (whether church or community schools) because of the vital role they play in the lives of our children and of whole communities. I am only too aware of the financial challenges that this and other Dioceses are facing in the next few years. But it is also my belief that the work of the Diocesan Board of Education in supporting our schools is absolutely vital at the end of the day both for the health and growth of our churches and as a huge part of our contribution to the common good of the communities we serve across this diocese. The real problem is when people conceive the mission of the Church and the Diocese in overly narrow terms as being about filling the pews in our churches on a Sunday morning. In the end, such a narrow approach runs the risk of becoming counter-productive, by cutting the Church off from its role at the heart of our communities – most especially through its work in education. The Rt Revd Dr Jonathan Gibbs is Bishop of Huddersfield and Chair of the Board of Education of the Church of England Diocese of Leeds.